Did you copy everything from the zip of leo001 in windows directory? well it works now, but how can i replace the ugly icons with the LITE ones? any chynce to raplace the wallpaper or change color? but i don't really know how to open/edit it! same here ,,, what is the problem? 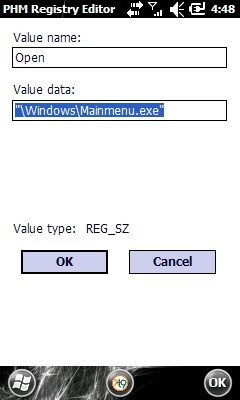 copy all file in windows folder...and it works! Are there any ways to install this.. I have change and added 113. I copied the files and put them under \Windows\ is there something else I need to do. I don't have Samsung widget plus and I don't want it I just want the main menu. Please do you have steps. Nope it doesn't can someone create a cab maybe it will then. did you put quotes " " ? It looks like it doesn't put the .dll file in. I think that's what is making it not show up, if anyone can do a .cab file so we can test. Didn't work either. I don't think its the button. I think its the software. have you copy all file in windows folder?